The 2019 Nissan Kicks S lacks Apple CarPlay and Android Auto capability, features we think most buyers will find appealing. 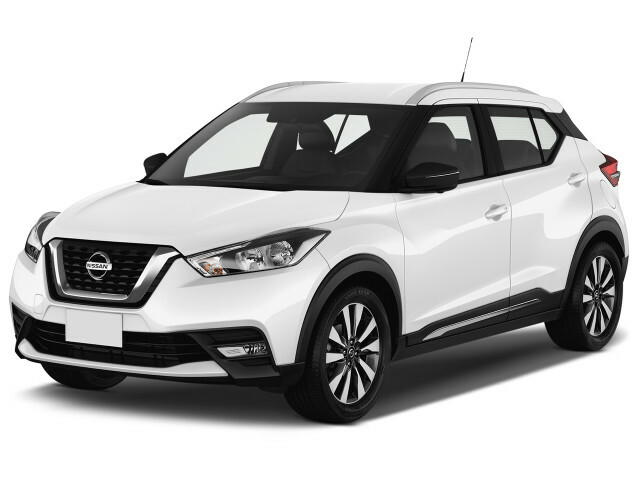 The 2019 Nissan Kicks proves that basic motoring doesn’t have to be boring. 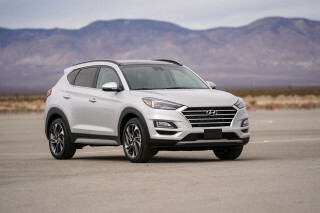 Splitting the difference between subcompact hatchback and crossover SUV, the 2019 Kicks is a full-flavored small car that offers a lot of features for the money. After replacing the Juke as Nissan’s small car offering, the Kicks sees no changes other than a nearly $600 price hike for the new year. The 2019 Kicks is offered in S, SV, and SR trim levels, all of which share a 122-horsepower inline-4 that sends power to the front wheels via a continuously variable transmission (CVT). Even though it looks like a crossover SUV, the Kicks isn’t offered with all-wheel drive. At 33 mpg combined, the Kicks is among the thriftiest small crossover SUVs. That’s not a recipe for blistering performance, but the Kicks offsets that somewhat with a modest curb weight of about 2,650 pounds. Light, quick steering and narrow tires give the Kicks a quick-witted feel in town, but ample road noise and darty handling make it tiresome on long highway slogs. The Kicks’ interior is narrow, with a style that’s muted compared to its expressive exterior. There’s decent room for four passengers and the Kicks’ 25 cubic-foot cargo area bests most other small cars. It's the less expensive versions of the 2019 Kicks that make the most sense. From about $21,200, a 2019 Kicks SV has automatic emergency braking, power features, blind-spot monitors, a 7.0-inch touchscreen for infotainment with Apple CarPlay and Android Auto compatibility, and automatic climate control. 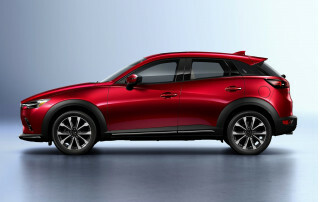 That price undercuts most direct rivals, but we’d look closely at lightly used models such as the Mazda CX-3 and Subaru Crosstrek before signing on the dotted line at a Nissan dealership. The 2019 Nissan Kicks has flashy looks outside, but its interior is econo-car average. The 2019 Nissan Kicks certainly isn’t a wallflower. 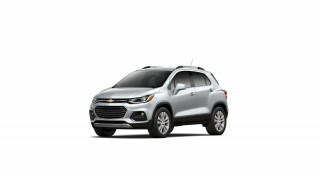 This small car blends crossover SUV styling cues with a body that measures out more like a subcompact hatchback. We like its exterior well enough, but its uninspiring interior doesn’t carry the theme inside. Nissan’s designers appear to have honed the Kicks with Exacto knives. 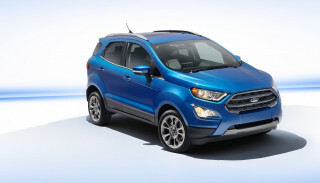 Its exterior is sharp, with a bulky grille up front that implies truckiness. Unpainted fender flares sit over 16-inch wheels with hubcaps on the base S trim and 17-inch alloy wheels on other versions. A pointed kick-up—see what we did there—at the rear of the Kicks’ window line helps give the appearance of a floating roof on models fitted with the extra-cost two-tone paint available on SV and SR trims. A glossy black roof is standard on the Kicks. At the rear, Nissan’s small car has angular taillights that jut into its tailgate. The Kicks has a high-riding appearance, but its seating position inside is only slightly more elevated than a typical passenger car. Its dashboard is simple, with few switches other than a handful flanking its standard 7.0-inch touchscreen for infotainment and a climate control panel below. The standard cloth seats have a bold quilted pattern, while the optional synthetic leather trim on the Kicks SR features a more conventional pattern. No Kicks is dressy inside. We wish Nissan had played more with contrasting colors to spruce things up. With just 122 hp, the 2019 Nissan Kicks could use a kick in the pants. 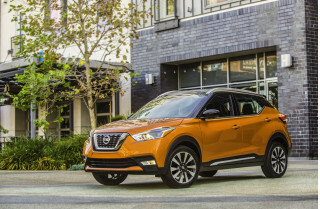 Around town, the 2019 Nissan Kicks delivers acceptable acceleration and has a composed ride. It’s less settled on the highway, where it struggles to keep up with traffic and where its steering feels constantly nervous. The 2019 Kicks uses a 1.6-liter inline-4 rated at 122 horsepower and 114 pound-feet of torque—figures slightly lower than last year’s model. The 3-hp drop in power isn’t likely to dent performance, much, however. A continuously variable transmission (CVT) sends power to the front wheels. 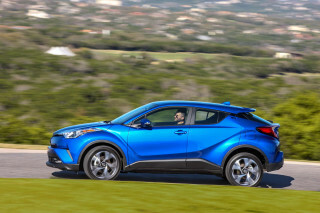 Even though the Kicks looks like a crossover SUV, there’s no all-wheel-drive version. The inline-4 is a fairly smooth operator and it works well with the simulated “gears” that prevent the CVT from the rubber-band droning that once plagued vehicles with this type of transmission. An unladen Kicks weighs about 2,650 pounds, which makes it among the lightest new cars available. Correspondingly, acceleration at lower speeds is decent and is aided by quick initial throttle tip-in. Highway speeds are a different story. The Kicks struggles to keep up with fast-moving traffic. Passing requires enough planning that it becomes a chore on two-lane highways. The sport mode for the Kicks’ transmission makes little difference. Underneath, the Kicks is closely related to the Nissan Versa, which means the two share a basic suspension setup with a simple twist-beam rear axle. We’ve found the Kicks to have a more composed ride than the Versa and planted handling, but that’s a low bar. The three-spoke steering wheel’s flat bottom hints at sporty aspirations, but the Kicks is ultimately best-suited to urban cruising. Its small proportions mean that it’s a nimble in-town runabout. The 2019 Nissan Kicks uses its small footprint well for good interior space, but it’s far from lavish. Up front, the Kicks’ seats sit higher than in most passenger cars and have decent padding for short stints. The narrow center console means that there’s no central armrest for front-seat passengers, however. Rear-seat riders will find surprisingly good leg and head room. Three abreast is wishful thinking unless they’re children—and they should be in child seats, anyway. With the rear seat upright, the Kicks has about 25 cubic feet of cargo volume. Fold the rear seats and that figure balloons to about 53 cubes, although the rear seatbacks don’t create a fully flat floor. We dialed a point back for the Kicks’ dour interior decor. Some nice touches such as contrasting stitching on the seats and dashboard on some trims helps, but there’s no ignoring the swath of cheap plastic adorning its doors and carpeting that makes AstroTurf feel luxurious. For a small car, the 2019 Nissan Kicks does well for its safety. The 2019 Nissan Kicks is a reminder that inexpensive cars don’t have to skimp on safety. In what crash tests have been performed, the 2019 Kicks achieved good results. Additionally, all models have desirable safety tech such as automatic emergency braking as standard equipment. The Kicks comes with seven airbags including one designed to protect the driver’s knees. Automatic emergency braking and automatic high-beam headlights are standard on all versions, while blind-spot monitors and rear cross-traffic alerts come on SV and SR trims. Even with its price hike this year, the 2019 Nissan Kicks is a decent value for the money. Offered in S, SV, and SR trim levels, the 2019 Nissan Kicks is an inexpensive small car. The base Kicks S costs about $19,500. For that price, it includes power windows and locks, automatic emergency braking, air conditioning, keyless entry, and a 7.0-inch touchscreen for infotainment with Bluetooth and a USB port. No options are available on the Kicks S.
We’d spend $1,700 more for the Kicks SV. That trim level throws in more sophisticated infotainment software with Apple CarPlay and Android Auto compatibility, blind-spot monitors, rear cross-traffic alerts, 17-inch alloy wheels that’ll hold up better than the steel wheels with hubcaps on the base trim, automatic climate control, heated exterior mirrors, keyless ignition, and a few other features. The Kicks SR bundles synthetic leather upholstery, a surround-view camera system, and a few minor features for about $21,900. At that price, we suggest taking a long look at the Kicks’ rivals. Nissan charges between $200 and about $600 for some extra-cost paint color combinations including a contrasting roof panel on the Kicks SV and SR trims. A single option package for the Kicks SR costs $1,000 and adds Bose speakers and heated front seats. The 2019 Kicks sips gas thanks to its light weight. Those figures best its rivals. The front-wheel-drive Mazda CX-3 is rated at 31 mpg combined, while the Ford EcoSport and Chevrolet Trax earn up to 28 mpg combined. The larger, more powerful Subaru Crosstrek doesn’t come in a front-wheel drive version, although its 29 mpg combined rating is commendable.